Whoever you are and at whatever life stage, you should have one eye on your estate. As with many things in life, starting early makes things easier rather than harder. Organising your estate should only need to be done once and it may be the most important financial decision you’ll ever make. Without proper planning your family may be faced with a large tax bill when you die. They may even need to sell assets including the family home to pay it. While a simple Will is effective for UK residents in determining who should receive the estate, the one certainty of this is that the UK Government will take their share first – currently 40% over £325,000. Gifting your assets to an ownership entity more than seven years before your death may completely exempt your estate from UK Inheritance Tax (IHT). But I haven’t lived in the UK for a long time! This may not matter to HMRC – even if you’re not liable for income tax, capital gains tax or any other type, you may still be liable for inheritance tax. The test for IHT isn’t your residency but rather your domicile. Also, there isn’t an absolute test of domicile and if there were, you might re-establish domicility later in life (for example by buying a property for your children to live in). The normal test for IHT domicility is whether you’ve lived outside the UK for at least three years. However if you have been resident in the UK for seventeen of the past 20 years, you may be deemed a UK domicile. Furthermore, for non-domiciles, IHT will still apply to property situated in the UK. For more detailed information, please read Priniciples of UK Inheritance Tax. The main vehicle for Inheritance and Estate Planning is a Trust, and there are a number of types. Very simply, a trust is a vehicle which enables the Settlor (you) to give or entrust your assets (the trust fund) to a group of individuals (the trustees) for the benefit of you and/or others (the beneficiaries). The trust fund is no longer owned by you so it no longer forms part of your estate. Some trusts can give you access to a regular income while you are still alive, especially if a good Financial Adviser manages the assets well to allow this without eroding the underlying capital. However, you must appreciate that access to the underlying assets must be restricted if the Trust is to “work” – that is, to provide a shield against IHT. Simply put, if HMRC deems that in reality you have retained beneficial ownership of the assets (you still own and use the assets as if they were yours), they’ll be liable for tax. In England, Wales and Northern Ireland you may leave your assets to whomever you choose. In many other parts of the world including Scotland and much of Europe this is far from the case. If you make a Will in any of these places, your dependents may easily be able to claim against your Will citing improper financial provision. For many, it seems logical to remove the decision of the passage of your estate (probate) from wherever you might be living (to an offshore trust). 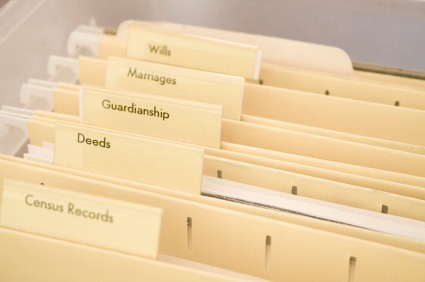 Trusts also work well for managing divorce, complex families and for business owners to protect their personal assets from future creditors (where the business was healthy at the instance of trust formation). Selecting your Trustees can be a tough job, as it’s difficult to rely on friends and family to be objective, and even so that person may not have the necessary perspective, skills or time to execute their role properly. This is why most people choose a corporate Trustee normally supplied by a professional Trust company. In this way, objectivity and professionalism are assured, and because the Trustee can be located in a tax efficient jurisdiction, major tax advantages can arise. The professional Trustee will take care of all administration and tax reporting duties but will not offer tax, financial advice or portfolio management. For this you’ll need to retain appropriate professionals. This is a different, corporate-based strategy designed to reach similar estate planning and succession goals. This is a complicated area that is fully discussed in our hybrid companies article. More information is also available in our articles on How an IFA can help with estate planning and the Different types of Trust you can choose from.